This is about the Big Bang “Alive” Concert in 2012. 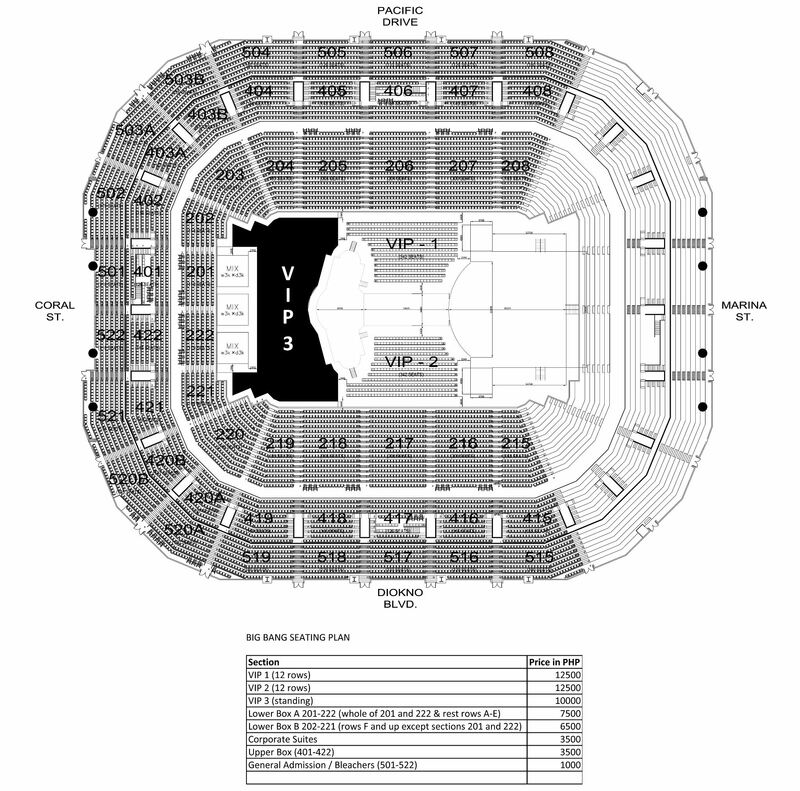 To get info on the Big Bang “Made” Tour in Manila, go here. We have very limited number of T.O.P./Big Bang Alive Concert support shirts available for pre-order. Hurry and send in your order before we run out of shirts in your size! As per @ovationprod Boss, it is Confirmed Tomorrow (july 21) Ang Ticket Release of Big Bang Alive Tour. Alive Concert in Manila FAQ Page 2 (ticketing concerns). Remember, BB Tickets are NOT RELEASED yet so stop calling SM Tickets, nakukulitan na sila 🙁 these info are just for you to prepare for. Ovation Productions just posted the seating plan for the Alive concert on the official Facebook event page! What seat will you be getting? Don’t fret, VIPs. I know we’ve all been spending sleepless nights wondering when we’ll finally know how much the tickets for Big Bang’s Alive concert in Manila would be. Now we can finally get a full night’s sleep — Ms. Happee Sy of Pulp has just released the ticket prices on her Facebook page! Tickets will be out either Friday or Saturday, pls wait for further announcement on final exact date. According to Ms. Sy, the seat plan will be posted soon at the Ovation Productions Facebook page. Don’t forget to like it! For VIPs on Facebook: Don’t forget to RSVP at the official Alive in Manila FB event page. This entry was posted in Concert, Events, Feature, News and tagged Alive, Big Bang, BigBang, concert, k-pop, kpop, Ovation Productions, prices, ticket. Bookmark the permalink. You’re very welcome! It will be the best concert ever!